Spring is officially one week away and with the changing season, there’s one thing most of us want for our skin—radiance. But if you’ve ever wondered exactly how to, well you know, get glowing, we have a few top tips for you. Your complexion appears more radiant when it’s smooth enough to reflect light. When dead skin cells accumulate on the surface of your skin, it diffuses light, making your complexion look dull. Slough them away by exfoliating at night as opposed to in the morning to get the double benefit of removing all the gunk that’s built up during the day. We like PCA Skin Gentle Exfoliant for a nourishing polish. Vitamin C is a potent antioxidant that brightens skin and helps fade sun spots that make your skin look flat and dull. Plus, it stimulates collagen production to combat fine lines and wrinkles. Now that your diligently exfoliating away the old, let the new shine brightly by adding this powerfully rejuvenating ingredient. Try Naturopathica Vitamin C15 Wrinkle Repair Serum for a difference you can see and feel. So summer isn’t here yet, but that doesn’t mean you can’t fake a subtle glow. Enter: champagne shade highlighter. Not only, does it enhance any complexion, but it’s also easy to apply. If your skin is normal or dry, go for a cream formula. Use your fingertips to tap up and down your cheekbones, the center of your chin, and the tip of your nose. 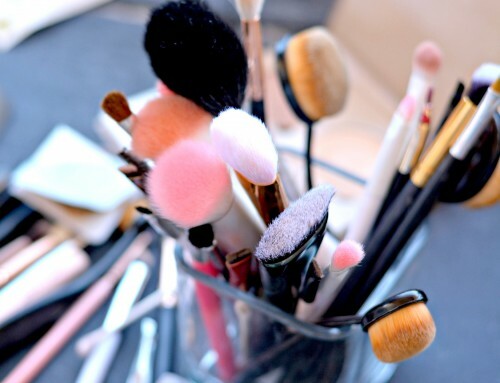 If you tend to be more oily, dust a powder formula over the same areas with a small brush. If you need any help with this or other makeup techniques, we offer a makeup application after a facial or we also offer makeup application lessons. If your face is radiant and your body is ashy, it can look jarring. Your glow will be much more believable if you highlight an even body complexion too. Instead of body lotion, try botanical oils: They contain the same lipids as your skin’s own moisture barrier. One of our favorites is ASTERA leave-in soothing freshness serum just apply a liberal amount to your entire body after a shower or bath. Now that you’ve moisturized, it seems natural to want to highlight for added glow, right? Not just yet. Just like with your face, you need to exfoliate the dead skills off your body for the best results of an even, flawless tone. 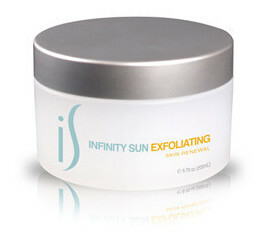 We recommend Infinity Sun Exfoliating Skin Renewal. The gentle, skin-renewing body masque polishes and exfoliates your skin’s surface using natural, non-abrasive pineapple fruit enzyme. Now you’re all ready to be a glow getter! We love Infinity Sun Glow on the Go. This all natural, anti-aging aerosol revitalizes your skin and leaves it sumptuously tan without using harmful propellants or alcohol, so it’s as safe for your skin as it is for the environment! Enriched with essential oils, antioxidants and botanicals, your skin will be left soft, supple and radiant. The solution suits all skin tones and casts the natural appearance of just having come out of the sun with a brown and subtle pink undertone.